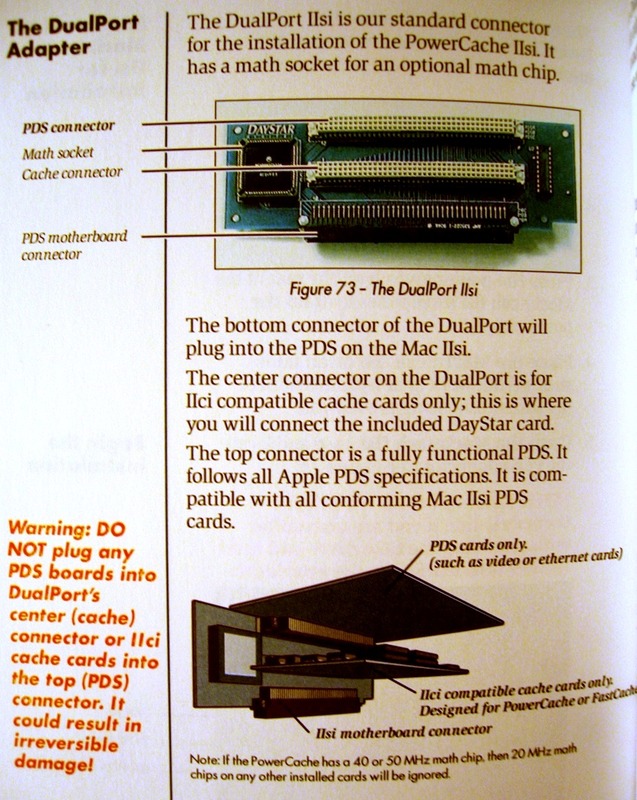 The DualPort IIsi Adapter would probably be the holy grail for this project. Are there Chips on your PowerCache Adapter? HELP REQUEST Actually, I'm begging here, gang! Are you still looking for info on these? I have been out of touch for a year+, so never saw this post. I might have one (I can’t remember if it is a Daystar, but it is a IIsi 040 adapter). I don’t want to sell it, but could do pics and other info on it. Thanks much for the offer, it will be interesting to compare it to others that have popped up over the course of the project. I need to drop in here more often, I've gotten lax about participating after moving that quest over yonder.